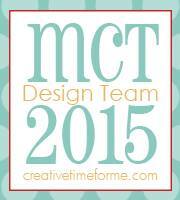 Hello Everyone, Welcome to the 55th Edition of My Creative Time's Sneak Peeks. This is such an awesome release and today is one of my favorites. We are showcasing the Greatest Handyman Set! I've always been surrounded by men, I have two older brothers and me, no sisters, I have four sons and my husband, so this handyman set will be used very often. I knew when I say the toolbox stamp and die I wanted to make a treat holder and the box bottom of the Treat Slider Box was perfect to use for this. After I cutout the piece I trimmed it down to 3" and than scored the cut side at 2 1/2" snipping the ends so it can be glued like the other side. I cutout two toolbox pieces, stamped the sentiment and than glued both pieces to the box bottom, super simple and I just love how it came out. I had these bags for awhile but I believe they are these ones from Annie's Paper Boutique, they fit perfectly in the box, they twine is also from the store. Love the tool box. 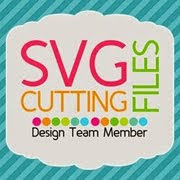 Realy cute withe tools. Love the tool box. Realy cute with the tools. OMG Miss Brigit....You sure created one Awesome Treat Holder...WOW talk about being super clever and oh so creative....It's so so cool. Love how you used Miss Emma's goodies!! You totally did a super outstanding creative job...and love your story share. YOU so ROCK!! Such a super treat package for any gentleman in your life! Nothing is beats the combo of tools and chocolate all wrapped up together! This is a darling "manly" set to add to our MCT collection! I simply think this is the most awesome treat giver ever!!! Awesome work. This is the cutest treat holder for any guy! Very creative! 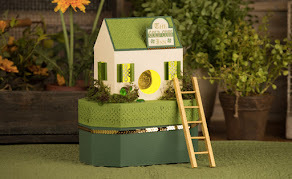 Love this, so super cute, way to make a gift box!! So adorable, Brigit! I love how you turned the tool box into a treat holder! This is just the cutest! I love, love, love your today's project. It is really nice and an awesome idea. I'm already hooked with this set. Thank you! Love, love, love your toolbox treat holder! Absolutely adorable! And such a great way to showcase the new set you're showing today. OMGosh this is amazing. I loVe how you created your treat tool box! Thanks for sharing. Oh my I just love this set. My father in lawn fixes everything so this set is perfect. Love your project so much. Such an adorable treat for lucky handy man on his birthday! Clever tool box and great coloring for your tools! Love the tool box. This set will be used often! Wow, your treat box is just too cute! This set is so awesome. LOVE love LOVE your treat box! What a fun little gift! 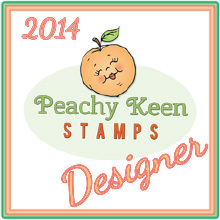 Fabulous new stamp set! I LOVE the way you created your treat box! Thanks for sharing on how it was made. I'll have to try that for sure! Love your topping too. Great colouring on your project. I can't wait to purchase this set for sure as I too come from a family of handymen. Oh boy, this is super fun, my husband would definitely enjoy a gift like this one! oh this is so darn awesome!!! awesome idea!!! Such a clever idea to use the Treat Holder Box bottom. I love the sentiment. OMG! That treat holder is the cutest!! what a great tool box! Love this treat holder. Would love to win this set. The screws and bolts are great. Oh my goodness what a cute treat bag. The peg board is just an amazing thought. Love, love, love this treat bag! Wonderful idea and what guy doesn't love some yummy goodies! This will be a hit for sure! This is just the cutest!! Love this little tool chest treat bag!! oh my goodness Brigit this is pure perfection!!! Aww that tool box is perfect, I saw it goes well with the new stamps! I love your tool box!!! It's so cute! Love Your Tool Box It Is Super Cute!! 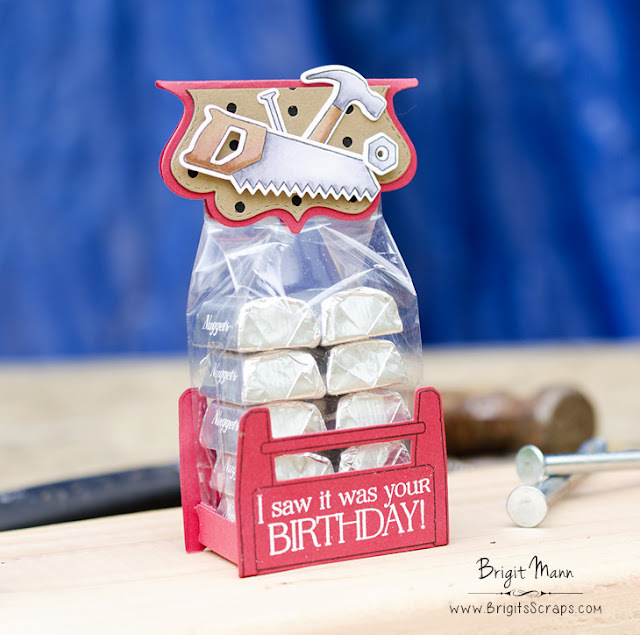 Love Your Tool Box Treat Holder,It Is Super Cute! !